This book started out kind of slow, but picked up in the middle. It was well written and I enjoyed the banter between the characters. Pru takes a new job in Edinburgh doing some research on a famous botanist. Little did she know she would have to prove the she is innocent of murder. Needless to say, she doesn't have time for any of this, because she is preparing for her wedding. And her wedding plans are stressful enough, sometimes hilarious. This was a great book that kept me guessing till the very end. 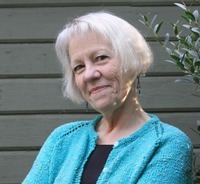 Alexander McCall Smith, Ian Rankin, J.K. Rowling, and me – quite a quartet, wouldn’t you say? True confession – we aren’t all in the same writing group, but we do share this one important fact: We all live in and/or love Edinburgh. The “or love” part would be me. 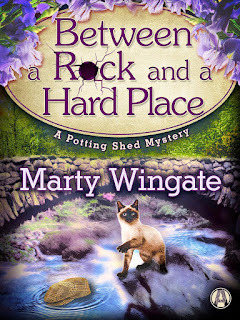 It’s why I set Between a Rock and a Hard Place, the third Potting Shed mystery, in that fantastic city. 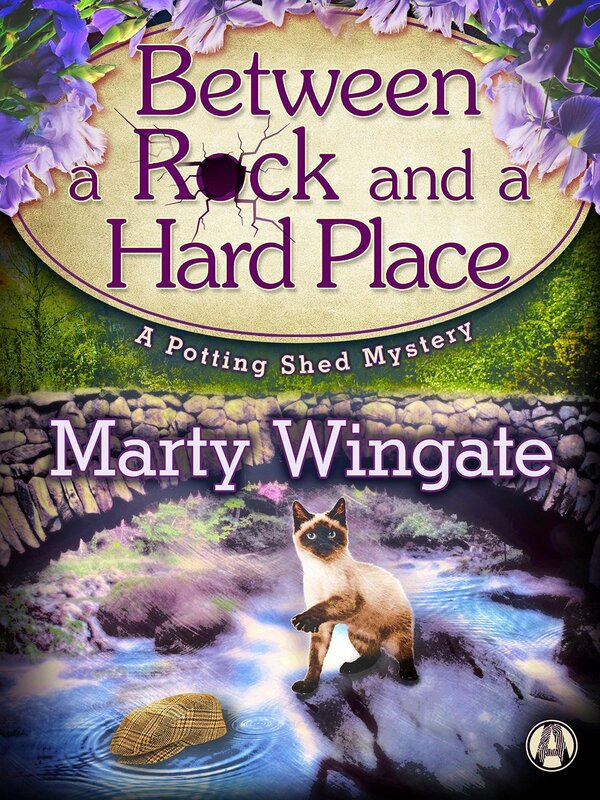 I sent my main character, Pru Parke (American gardener in Britain) off to do research at the Royal Botanic Garden Edinburgh (rbge.org.uk) so that I would be forced to do my own research there. This is the third move for Pru, although all within Britain. She began in London in The Garden Plot, moved to Sussex for The Red Book of Primrose House, and now here she is in Edinburgh. Consider the series a cozy/mystery/travelogue. So, for the travelogue portion of this latest mystery. The Botanics is near the Stockbridge neighborhood. Stockbridge,which used to be its own village, is home to the Colonies (http://stockbridgecolonies.com), which are several streets of stone terraced cottages built in the second half of the nineteenth centuries. I’ve stayed there, and so that’s where Pru stays. Edinburgh is divided by Princes Street Gardens in the city center. Looming over the gardens to the south is the castle. You can walk from the castle down the Royal Mile to the Palace of Holyroodhouse. But before you get all the way down there, turn right at South Bridge street and walk just past the central library. On the right, you’ll see a coffeehouse – the sign is a cutout of an elephant. Yes, that’s where Harry Potter was born. And speaking of authors, I’ve read somewhere that it shows what an amazing place Edinburgh is when you can walk into a coffee shop in New Town and see McCall Smith, Rowling or Rankin. I’m still trying to track down just which coffee shop that is – I intend to try every one of them. I’ll let you know.